Since earlier this decade, the watchword for pants has been slim, a concept that has taken us into the trend of jeggings, a jeans-and-leggings combo. 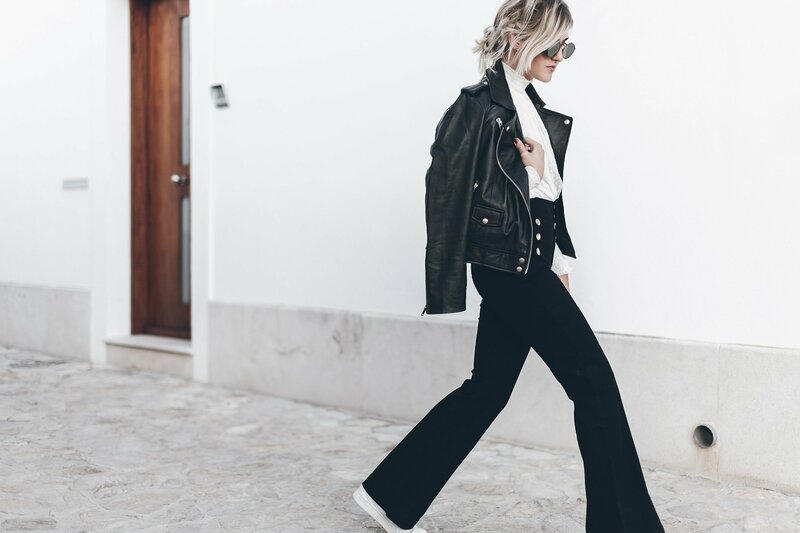 Though we’re not yet ready to say farewell to body-hugging pants, flared pants have been popping up lately, getting more success by the season. Thanks to their smooth lines and high waist, these pants are more indulgent. They’re universally flattering, from statuesque physiques to curvy types, and offer a boho-chic allure. 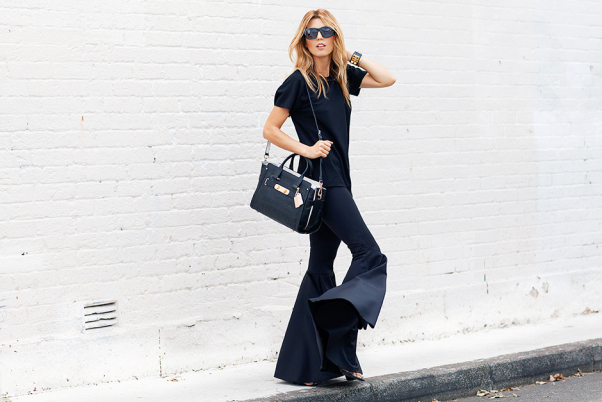 There are so many flared pants options, from disco bottoms straight from the 70s to wide silhouettes that stop traffic. It’s easy to get flustered when introducing a new trend to your wardrobe. We’re sharing some easy, neutral ways to transition from slim fashion to a revolution that’s louder, wider and flared to perfection. White is a go-to color to wear in higher temperatures and there’s nothing better to wear to a summer dinner with friends than these pants by Blukey. Add a silk blouse and a sweater tied over the shoulders for a carefree, feminine look. Black is synonymous with elegance; if you go for black flared pants, wear them to work for a sleek and confident look. Whether you rock them at the office or in a business meeting, the result will be elegant, orderly and very refined. For a professional look, Maison Coné pants, characterized by simple lines and great accuracy, are perfect. More informal settings call for denim, which offers the freedom to dress up or down. Flared jeans by 2W2M are lovely when worn with simple t-shirts for walks in the park, or floral blouses for happy hours with friends. They can even be paired with bright crop top to create a 70s-inspired outfit.